The nights are drawing in, the leaves are changing colour and the smell of Autumn is in the air. So time to put all the gardening tools away until spring, Right!…Wrong!!! Autumn and winter maintenance is just as important as the traditional spring summer garden maintenance. 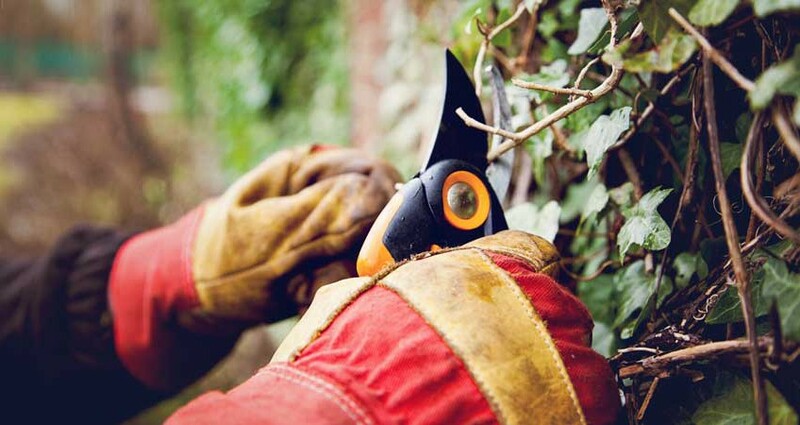 Autumn is the time to cut those shrubs right back, please remember your plants and shrubs will look bare when you cut them back but so will everything else. You may get a shock if you really take some shrubs back but don’t worry as they will recover and become full again in spring. Nature is a wonderful thing as any mistakes you think you make cutting back will be repaired with time by nature. As well as cutting back your shrubs think about the condition of the lawn. Just because crickets finished and the BBQ is away does not mean that the grass cannot be continued to be cut and managed. There is an impression that grass cutting in winter is wrong….Well all I would say is grass grows at approx. 14degrees Celsius, the past few winters we have regularly exceeded that temperature in December through to March so giving it a trim every so often does it no harm at all. It will keep it looking tidy and ready for growth come spring. If the ground is too wet then leave it till after a dry or frosty spell, if you cut when the ground is too wet then you will risk leaving ruts in the ground and tearing the grass not cutting it. Again it will recover but it will look untidy and become hard work to cut. As well as mowing grass you can improve the drainage of your lawn by simply getting a garden fork and spiking the lawn all over. The holes left by the fork will act as drainage for the water and get the water off the grass and into the ground quicker. This will mean a less soggy lawn and less chance of moss come spring. For the serious gardeners or to really give your garden some TLC, not only spike the lawn but if you spread a layer of sharp sand on the grass then this will improve drainage further. Where possible try to remove any fallen leaves, these will turn to mush and kill the grass underneath if left in great quantities. Check any draining grids for blockage and try to compost.